Honey and blackstrap molasses (for the gray hair) are full of vitamins and minerals – but sometimes I just don’t want something that sweet – it’s a distraction. So, I promise, I’ve been thinking about this for quite a while (I can show you the text to my girlfriend about it — weeks before) – before I just read the article about the new bone broth shop opening up in New York City, by Marco Canora, of the East Village restaurant Hearth. if you see a vibrant woman full of energy, with glowing skin, strolling through the East Village sipping a steaming, hot beverage, it may not be coffee. 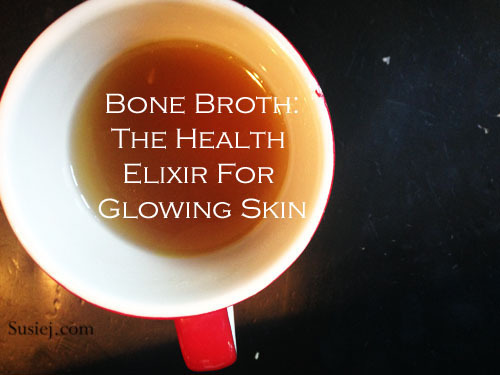 It could be grass-fed beef broth, made with bones and infused with ginger. I already have that steady stream of bone broth almost constantly in my kitchen, just simmering away in my slow cooker, standing ready to make pasta, couscous and soup. That broth, full of nourishing minerals, amino acids and collagen and vitamins – warm and ready, without the need for any sweetener at all – I ask you, what could be more inviting to a tired, worn body struggling to wake-up and face the day? 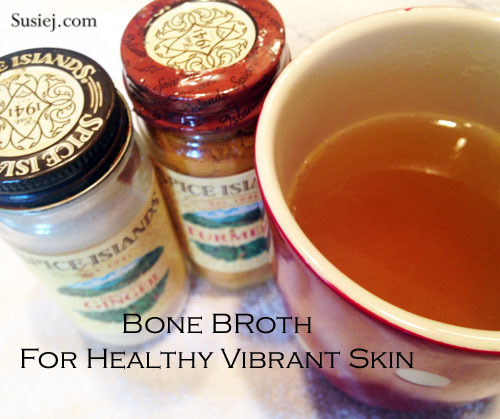 Julia March, a highly-sought after skin care specialist in New York says bone broth is the secret to healthy, vibrant skin. 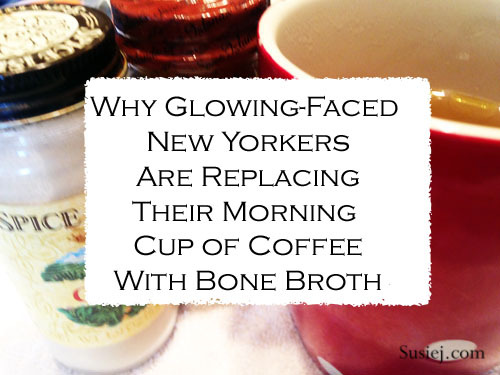 In the wellness world, at least, bone broth is having a serious moment. More and more health coaches, nutritionists, and beauty gurus are recommending it for its many benefits, from boosting gut health and fighting inflammation to providing a dose nutrients like magnesium, potassium, calcium, amino acids, and collagen. The key to Canora’s vision, is to sell it in paper cups, just like the paper cups from the elite coffee shops. The add-ins, instead of cinnamon and cream, are fermented beet kvass, spicy Calabrian chili oil, and fresh grated turmeric. 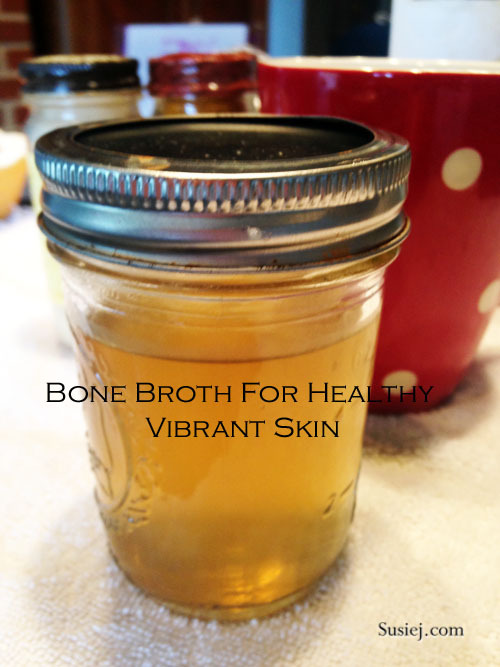 Even if you don’t think you can handle a perpetucal stream of bone broth in your kitchen (why? it’s so easy, really) – just make a big batch, and bottle it, ready to warm up as you need it.